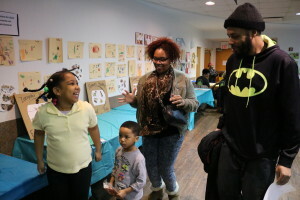 Family, fitness and fun were featured on Thursday at the semi-annual Fit You! event put on by the Council for Economic Opportunities and Cleveland Clinic. 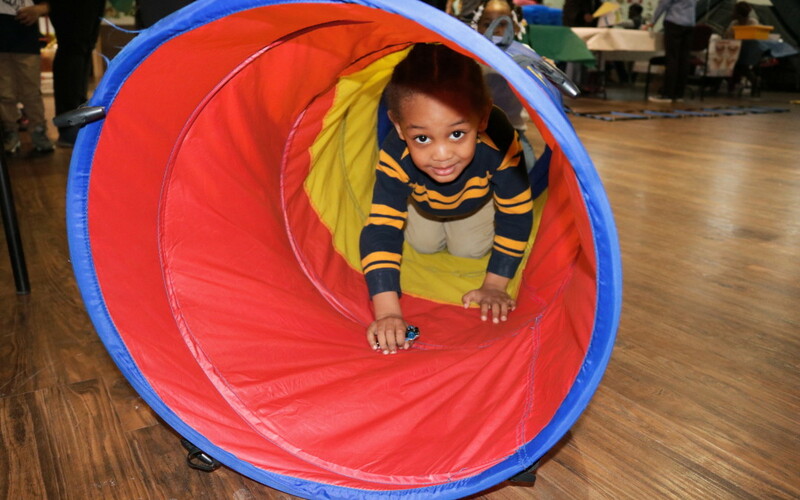 More than 150 Head Start students and their families came out to Louis Stokes Head Start Center to play games, learn about nutrition and enjoy food and activities. 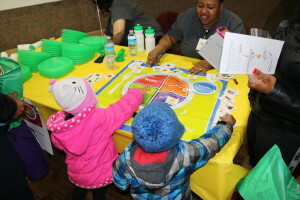 Representatives from Head Start and Cleveland Clinic were on hand to talk to families about the importance of making fitness fun for kids. Dr. Eileen Kennedy, a pediatric psychologist at Cleveland Clinic, said collaborations like this are vital to the well-being of Cleveland’s youngest residents. She added that when the kids are young and enthusiastic, it’s easy to make it fun for them. And as you can see from the pictures below, it wasn’t just the kids having fun! 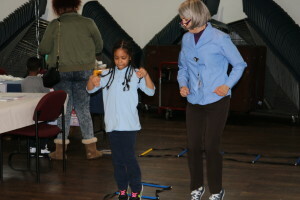 Dr. Kennedy couldn’t resist joining in on the obstacle course! For this game, Head Start students matched foods to their food groups. These two couldn’t get enough!